Falak Bridge is a recently launched ongoing residential project in Karachi. It is an amazing project and is offering different sizes of apartments. This project is situated in the heart of Nazimabad. Different apartments are available in affordable prices. 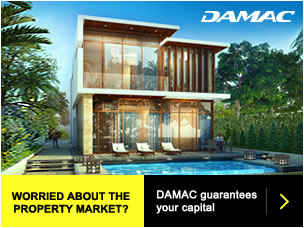 Everyone can easily afford the property in this project. This project is basically the origin of thought that a house should be a place of serenity, quietness and relaxation. This marvelous residential project has created an idea of the lavished dream house. Numerous investors are willing to invest in this project. The most important thing which should be kept in mind while having your own property, is to have proper know how of project developers. Falak Bridge Karachi is launched by M Kamil builders. They have created their name in real estate sector. M Kamil builders have launched many other projects like Falak Tower, Falak Corner, Falak Height and Falak Homes. This project is totally suitable for those who are seeking for international living standards. On the other hand they are offering inspiring residential projects. Falak Bridge is situated at Nazimabad in Karachi. The project is just nearby the petrol pump at main wide road. Visitors and investors can have a few minutes’ drive away from sir syed lawn and urdu bazaar. Furthermore the project is allocated in front of Ghalib library. Numerous residential and commercial projects are just nearby this stunning project. As it is a stunning project in Karachi, so it involves multiple features which increases the value of the property. The building is constructed with the help of finest material and has earth quake resistance as well. Separate reception and waiting area is there and staff is all time available for the proper guidance. Wide and developed roads are there for the ease of residents. The project is offering water, gas and proper electricity backup system. The area is totally free from load shedding. Falak Bridge Karachi is providing amazing lift for the comforts of investors. Investors are facilitated by high security system. Thus Falak Bridge Karachi is providing secure environment. Boundary walls are there with some hurdles and barriers. Residents are fully satisfied with high security planning. Circuit cameras are fitted in every corner of this project. And the security staff is responsible to monitor these cameras. Security guards are vigilant all the time. The security system is planned in a remarkable way. Thus security is a fundamental aspect and the managing staff of this project is giving special attention to the security planning. The project is offering separate covered car parking area for residents. This facility has just resolved the issues of residents as they can easily park their vehicle in a parking area. Parking area is totally free for the residents. This facility plays an essential role now a day. Security is also provided in the parking area. Numerous investors have shared their marvelous experience with us and accordingly they are satisfied with this facility. Staff is also available in order to provide proper guidance to visitors. Furthermore lush green play area is available for kids. They can easily pas their free time and can have a lot of fun. This is an easy and outstanding way to refresh their minds. Elders as well as children can have a great time in play area as they can enjoy multiple recreational activities. Separate prayer hall is also available so that residents need not to move anywhere to offer their prayer. As it is a symbol of spiritual Islam and it also reflect our values of brotherhood. Residents feel so relaxed due to this amazing facility. Thus some extra charges are imposed on apartment of five rooms. Like if they were having road facing apartment then they have to pay Rs 150000/-. For the corner plot and for west open extra charges are Rs 100000/- . Furthermore extra charges are imposed on apartment of four rooms. Like if they were having road facing apartment then they have to pay Rs 100000/-. For the corner plot and for west open extra charges are Rs 75000/- .And road facing 3 rooms apartment has to pay Rs 50000/-. For the west open and corner plot investors have to pay the same amount. All additional charges will be paid within 120 days of booking. The deadline for payment of monthly installments is 10th of the given month. The available modes of payments are either pay order or demand draft. Electricity, water and gas charges are paid by customers and these charges are not added in payment plan. Booking is now open for all apartments. You can have your own apartment on first come first serve basis. The project is located in the busy area. So if you are seeking for a perfect place to live and want to surround yourself with beautiful and outstanding views of Karachi, then Falak Bridge Karachi is an amazing opportunity to invest.